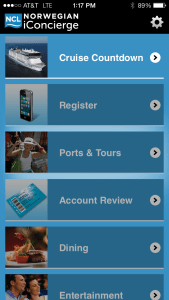 Five Cruise Line Apps You Can’t Do Without. Unlock your ship’s secrets with this smart software. Some cruisers like to enjoy their vacation as an opportunity to disconnect from the digital world, a chance to take the smart phone, tablet, BlackBerry, and laptop and lock them away somewhere safe and quiet for the interruption-free duration of the voyage. Others of us really, really don’t. We want to know what’s going on, what our ship has to offer, what we could be missing out on at our next destination — and we want it in our pockets right now. Quantum of the Seas, as Porthole fans know, is positioned to be the most high-tech cruise ship on the oceans. And this app is one piece of that cybernetic pie. Royal iQ is integrated into Royal Caribbean International’s new SMART Check-In system, which is supposed to get you from sidewalk to stateroom in 10 minutes. Thanks to Radio Frequency Identification (RFID) tags, the app can track your luggage as it’s processed — so no constant checking to see if it’s arrived yet. It also functions as a “vacation management app,” letting you plan your day’s activities and reserve your night’s meals, as well as send texts to your fellow passengers or loved ones at home. Stay in touch with other passengers aboard Regal Princess with this custom-built app, designed to help you make connections, make plans, and make memories with new friends. It’s integrated with the Princess@Sea web app that lets you check out what’s happening that day, look over port guides and ship itineraries, browse restaurant menus, and even track your stateroom account. 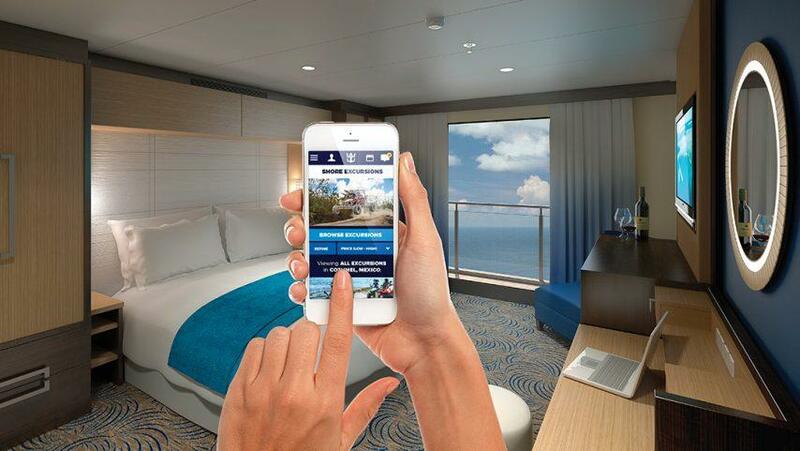 The app debuts in November, and should spread from Regal Princess to the rest of the fleet in 2015. 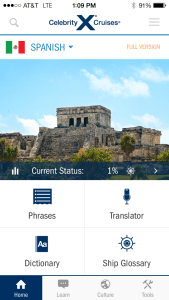 Celebrity Cruises has added more features to its redesigned mobile app aimed at immersing guests in authentic local experiences while cruising. This ultimate local guide has a tip calculator, a currency convertor, a 10,000-word dictionary, a voice-to-voice translator, and customizable quizzes and “flashcards” — audio lessons to teach you essential phrases in 11 languages (including slang). It also has a “culture crash course” to help you steer clear of unintentionally saying or doing the wrong thing wherever you happen to visit. 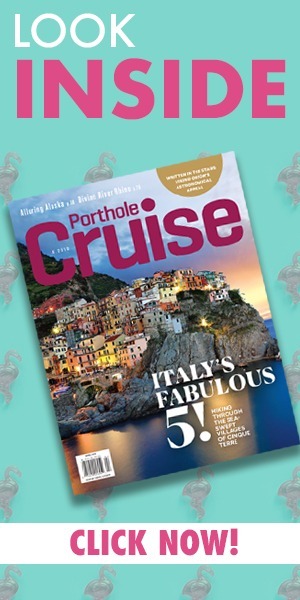 This easy-to-use app is based around the idea of sharing the story of your luxury cruise with your friends and family. Snap a photo on your iPhone, use the app to tweak the picture (move it, crop it, scale it, and use one of four different filters to change its look), write captions (from “The beach at Grand Cayman” to “Gaudi’s Cathedrals in Barcelona”), choose a typeface, and then share your photo with friends. 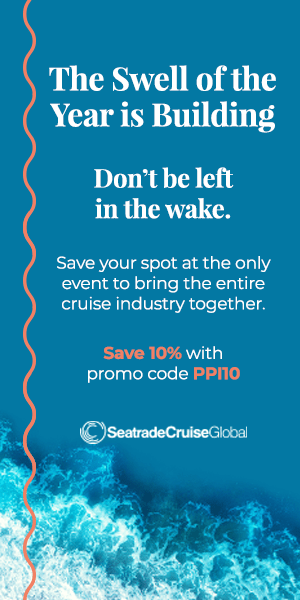 Post it to your Facebook page, send it to friends’ email, share it on Crystal Cruises’ Facebook page, or you even have it mailed as a physical postcard (with a nominal charge). For a couple of years, Norwegian iConcierge has set the standard for cruise line apps, making it convenient for travelers to make dining reservations, preview and book shore excursions, look up daily activities, and communicate with fellow guests. But that’s all once you’re on board. If you’d like to save a bundle getting there, don’t overlook Norwegian Flash Deals, an app that exists for one purpose only: to let you know about exclusive, limited-time deals on cruises. Check often, and soon enough you’ll find the bargain you just can’t let get away.